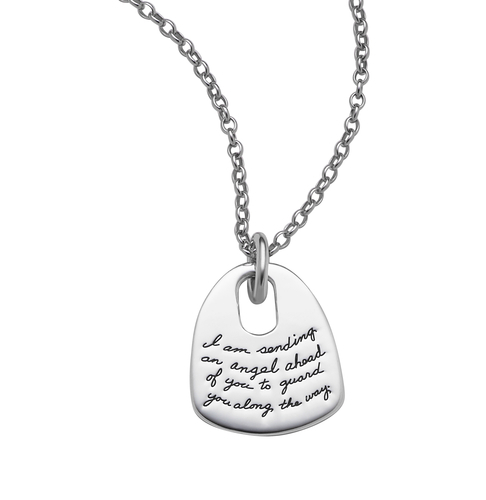 Wear one of God’s wonderful promises to remind yourself that He is looking out for you. This verse comes from one of the greatest stories in the Bible. God rescues his people from Egypt and promises he will send an angel ahead of them to guard them as they make their way to the promised land. He has angels to look out for you too. This sterling silver necklace is a beautiful keepsake gift that the recipient is sure to treasure for a lifetime.